The Satellites Academy provides a pathway for young swimmers to progress from Levels 5/6 and upwards of the Swim England Learn to Swim programme. The Academy is not a replacement for the Learn to Swim programme, rather, it is designed to augment it. We therefore recommend that all Academy swimmers continue to take lessons with their local Learn to Swim provider. If you are looking to begin your child’s swimming lessons, then we can recommend the Learn to Swim lessons offered by Everybody Sport and Recreation. Several of the Satellites coaches and senior swimmers are involved in helping provide these lessons. If you are interested in hearing more or would like to arrange a free trial please get in touch. The Academy is split into 3 groups. As a swimmer completes the skills for a group they will progress into the next. 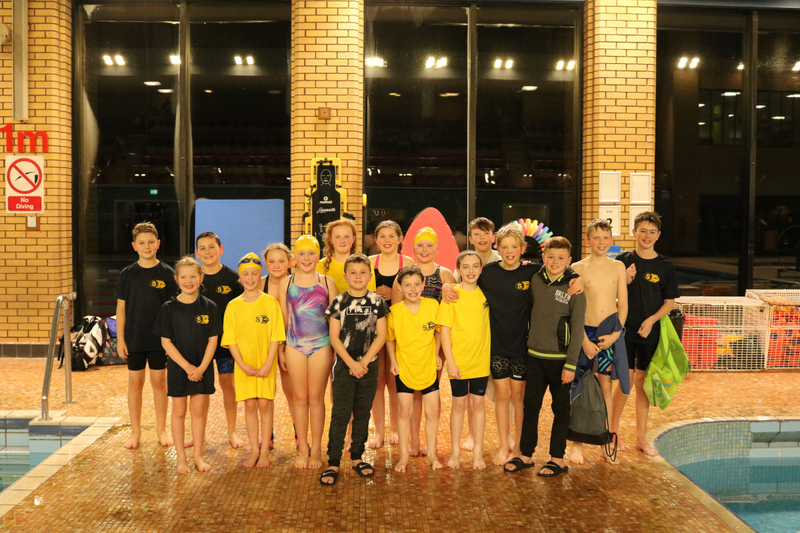 Upon completing the Gold Academy a swimmer is then offered the option to be promoted to the competitive section of the club. Swimmers start honing stroke technique with an emphasis on breaststroke and butterfly. Swimmers continue to improve technique and stamina enabling them to swim 25 or even 50 metres continuously. Swimmers now begin to introduce speed into their repertoire whilst improving technique even further.